I love this place! It is my go to restaurant because they have a little bit of everything. Their wedge salad is the best! Best sushi ever. Great service and nice atmosphere. Noah Grant's is always great. People are having a great time so it's not quiet, but it's not bad. We always have the blackened grouper. It's a great dish. Fabulous food , amazing service. Fabulous place! One of our favorites!!! Perfect place to celebrate my mother in laws birthday! We had a great time with great food! Food was amazing! My experience was great, service was amazing as well. The only thing I would change is the seating people next to use was rude loud, and annoying. Absolutely a great evening for our 28th anniversary with the family! Food was excellent! Service was great! it's always an energetic place but just the right noise level as it was spring break and not as busy as normal. The crab cakes are to die for! Don't forget desert! Would recommend to anyone for a night out in the village. The calamari was crispy and tender, crab cakes were so good, the bread pudding is TO DIE FOR! Ate at the bar Chloe was great. You just have to stop at Noah's such a great place. Get there now. As always a great meal with great service. Best place ever. Love this place! BEST seafood around. Highly recommended. I would recommend. The staff was friendly and fast. The food was amazing. The oysters are surprisingly fresh for the middle of Indiana. The grouper is cooked perfectly. Zionsville can have some bad service but this place is what you would and should expect. This is my favorite restaurant so we celebrated my boyfriend’s birthday here. I have never had a house salad that is like Noah Grant’s house salad. It’s more like most restaurants’ best, fanciest salad. Simply awesome. Noah's has great oysters. I would recommend having some as a starter. I've had their steaks and they are very flavorful. A must do dessert would be the butter cake. This was a spontaneous dinner stop on our way to another restaurant as well as our first meal at Noah Grant's new location. Food and service was very good and the price points were reasonable for the quality. We're glad we re-discovered this excellent Zionsville restaurant...we'll be back! Loved the theme and decor. The server was attentive, and very funny. Food was excellent. Love eating here! Caralee is a marvelous server. Outstanding, creative food! Exceptional service! Did feel a little rushed through the service. Food was good and reasonably price. Decor was nice. Does smell like seafood when you open door but it is a seafood establishment. Very nice dinner. The food is excellent! Salmon and crab legs were fantastic. The service and atmosphere were also great. Definitely a top choice for us when we're celebrating! My husband and I were first time diners here last week and we have not stopped talking about it. The food, service and atmosphere is incredible! We will be telling all our friends & most definitely coming back! Food was awesome. Environment very clean. Service was great. The seafood was so fresh and the service was wonderful. It was such a nice relaxing meal. I would highly recommend this dining experience! Absolutely fabulous experience start to finish! From hosts, to server to food to drinks......OUTSTANDING! Delicious gluten free menu and regular menu! It was wonderful. Celebrated my wife’s birthday. The Ahi tuna was out of this world! Service was excellent, attentive but not obtrusive. We were seated promptly and the food was excellent. We will definitely be back. Food is always superb... service is always perfect! Tremendous food with great seasonal options.The (relatively) new location was a nice step up from their prior location. Great food. Service was not very good. Waiter took the order, delivered the food and eventually brought the bill. Inattentive and slow. The food was absolutely delicious! It was my daughters 21st birthday and we both truly enjoyed this restaurant. Our server that evening was wonder, best crab cake I've had in a long time. 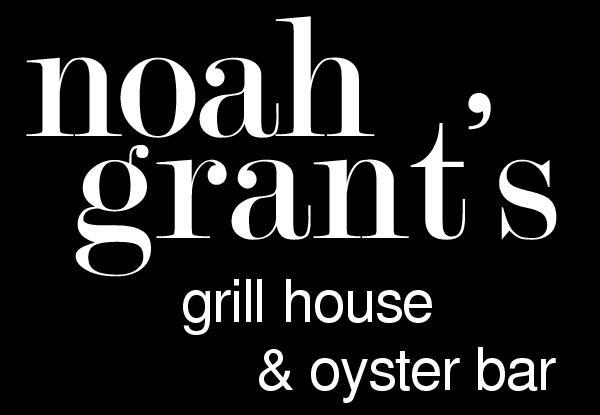 We love Noah Grant's! I celebrated my birthday here, and it could not have been better! The atomsphere was great and food delicious! We had a wonderful evening and would highly recommend! Great Business Dinner. Everyone came away happy and taken care of. Great food. Just very loud. Our reservation made on Open Table was honored on time. We were not expecting the Sunday specials. We ordered 4 separate menu itms and they were all great. I would call it casual fine dining. Fabulous meal and excellent service, as always. The owner went above and beyond to accommodate us after we had left something behind. We have eaten here two Fridays in a row and can’t say enough good things about the food/drinks/service. Great service with excellent food quality. The salmon was out of this world. The desserts were large and delicious. Wonderful restaurant - can’t wait to go back! amazing service, the waitress was so nice. food was amazing, a little pricey but definitely worth it. Good spot. In Zionsville village. My first time there and we really enjoyed it. Everyone was nice and the food was awesome. Top notch. Mac n Cheeses were amazing! Dinner with friends. Wine and food all fantastic. The new location is great, but the bar area can get pretty tight during busy times. I would not plan on getting to the restaurant early to have drinks before your reservation. You may find yourself wedged between some high tops or standing in a high traffic area. Phenomenal atmosphere for date night. Second time we have visited this location and once again it did not disappoint! Huge menu selection and love the feeling in downtown Zionsville. We will be back! It was great. Our only two complaints were that our waters were never refilled or offered another cocktail. My husbands first oyster was gritty but the rest were yummy! My favorite sushi place in Zionsville. Every dish is well presented and delicious. The staff is friendly and helps you have a positive dining experience. Matt our server was spot on with timing of courses and provided a very enjoyable evening for us all. Absolutely the best seafood around! You don’t need to go to downtown or a chain because the best seafood and service is right here. Beautiful restaurant with a bustling crowd on a Friday night. Make reservations!